Elizabeth Farr never wanted to return to America. During her family's vacation abroad, she has fallen in love with England, and is despondent when her father refuses to let her stay. Returning to New York means having her debut into society, and that means a swiftly arranged marriage. 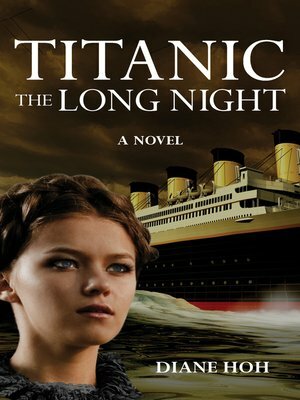 Elizabeth will never go to college, never learn to be a reporter—as she sees it, her life is over as soon as the Titanic reaches port. Of course, if she's unlucky, her life will be over far sooner than that. As Elizabeth and her family settle into their first-class cabins, Katie Hanrahan, a young Irish girl with dreams of finding fortune in America, makes her way to a steerage berth. Both girls have plans for the future, but love and death are about to intervene. This ebook features an illustrated biography of Diane Hoh including rare photos and never-before-seen documents from the author's personal collection.